For a whole range of reasons, it may be wise to establish a trust. · To achieve a better tax outcome for the family, so that the benefits of the trust and the income of the trust is shared more equally amongst members of the family, thus meaning the family as a whole will be paying less tax. · Providing asset protection. You may be in a high risk profession or in a business or in a high risk situation, where people in certain circumstances may sue you and you may become a bankrupt. To hold assets in your personal name in such circumstances would be completely unhelpful. If a trust is structured in a certain way it may provide for a better outcome. · Estate planning. There may be potential claims against your estate and so to die with assets in your name may not be helpful. To hold assets in a trust or trusts will continue to exist whether you are alive or not and the control of which can be changed upon your passing (but outside of your Will). 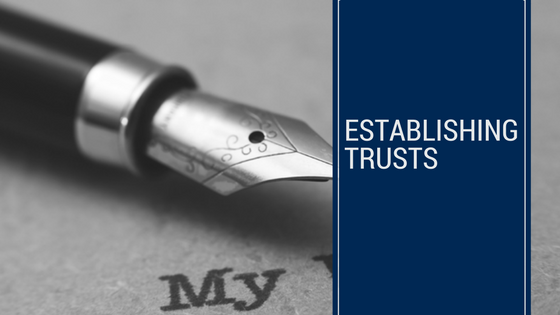 For a whole range of reasons, it may be appropriate to establish a trust or trusts structured in a certain way. We are able to advise generally on how a trust should be structured, whether or not it should be settled and the terms of that trust. We do not recommend that people simply order off the shelf trusts without proper advice. One size does not fit all.